All Time Low surprised a fan with a cake and a new song. All Time Low have released a new song in probably the most celebratory way possible. The band sent a fan a birthday cake, and wrote a link leading to the new song called “Birthday” on the box. You can hear the new song here. The fan’s friend posted the cake on Twitter with the link, asking the band for answers. The band answered the tweet with a few emojis. Another fan on Twitter asked why the band were dropping songs, and they responded with a bit of sarcasm. For Nicole’s birthday. Isn’t it obvious? The catchy song will probably become a staple for ATL fans to celebrate their birthdays with. If only the band would send us a cake to enjoy while we jam out to the new track. 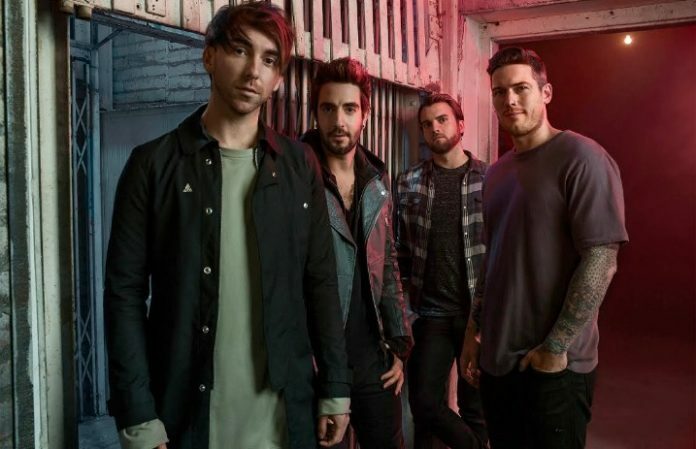 All Time Low recently released their summery track, “Everything Is Fine,” which they performed on Vans Warped Tour. The band are also going on a co-headlining tour with Dashboard Confessional this fall. Check out the full list of dates below. What do you think of the new song? Let us know in the comments.